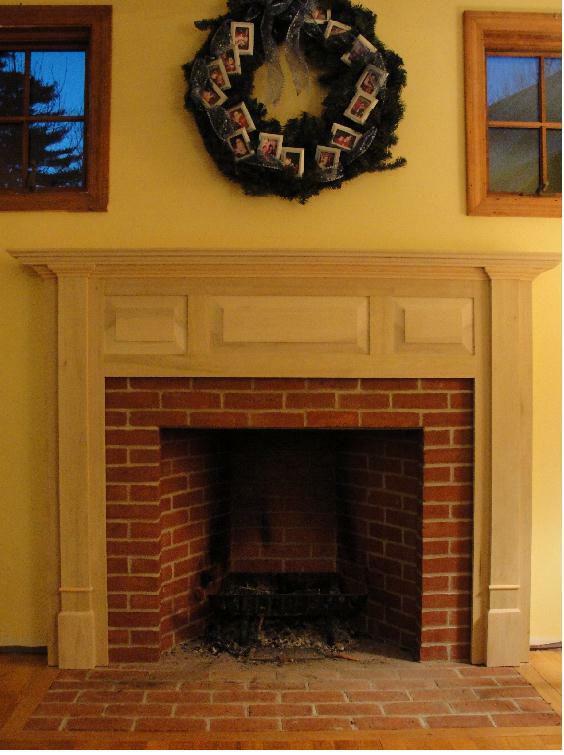 Limestone fireplace surround, made to order by Plymouth Quarries of Hingham, MA. 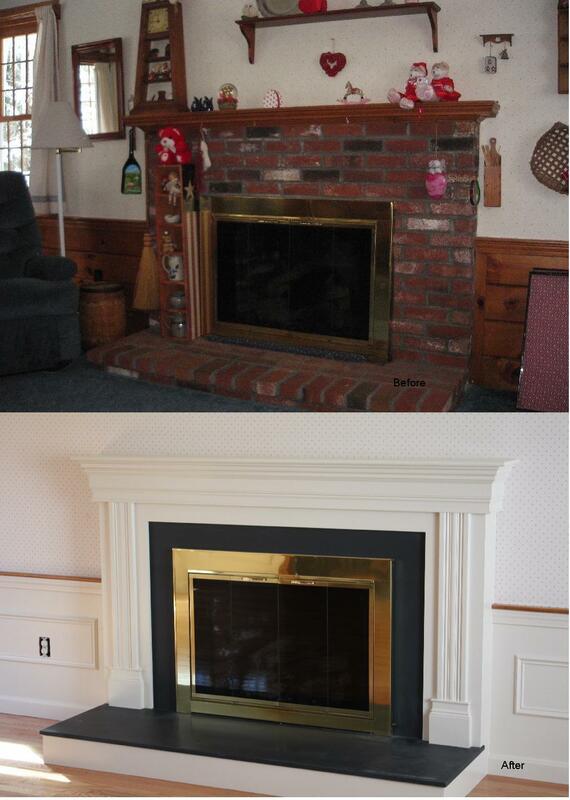 Traditional wood burning fireplace, with tapered chimney stack, base coat, and finish plasterer coat. 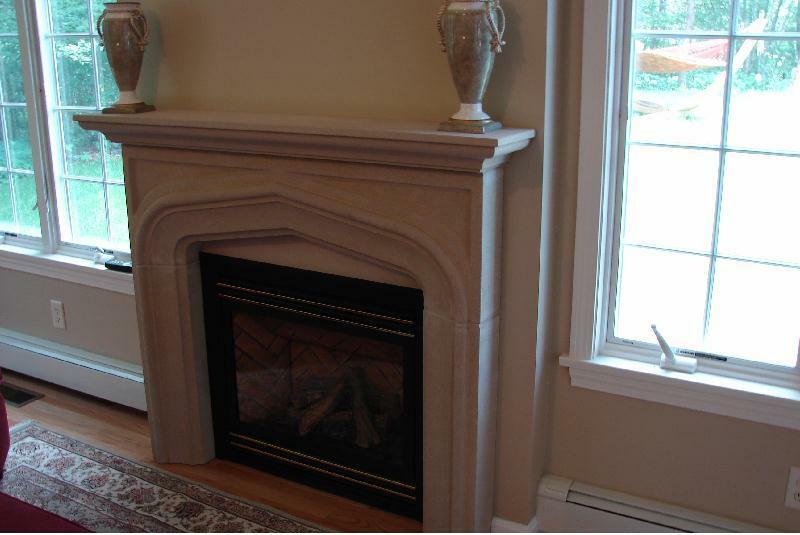 Limestone surround installed around a gas fireplace. Fieldstone veneer - Thicker veneer stone is worked and shaped quite differently than thin stone, working corners and the stone face, instead of the mortar bedding plane. Not simulated. On certain projects it makes sense to go with traditional veneer stone. I wish I had a before photo. From the hunting lodge theme, to fine crafted woodwork by a furniture maker. 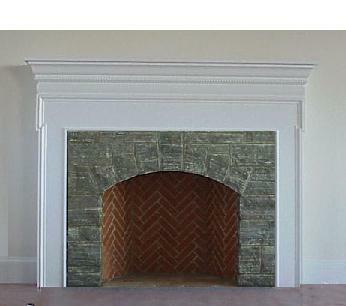 Fireplace finshed with Vermont Verdi Marble. 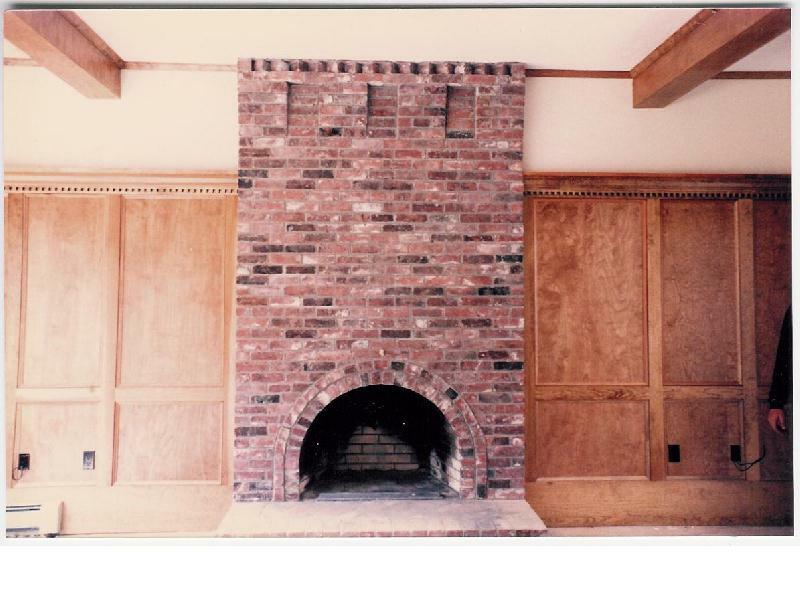 We have so many fireplace photos that I took for material samples photos only, so most photos are not complimented with finishing touches & décor. 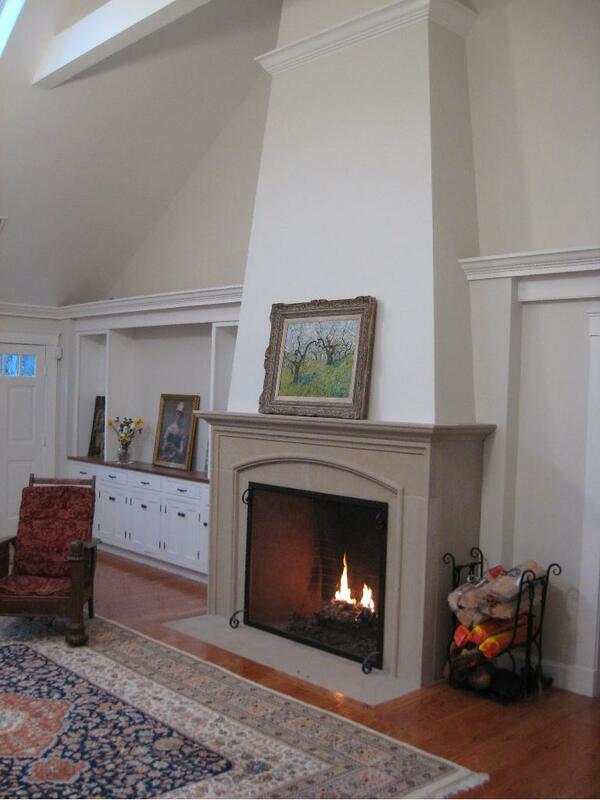 Many have become out dated styles with new trends like adding flat screen TV’s above mantles. 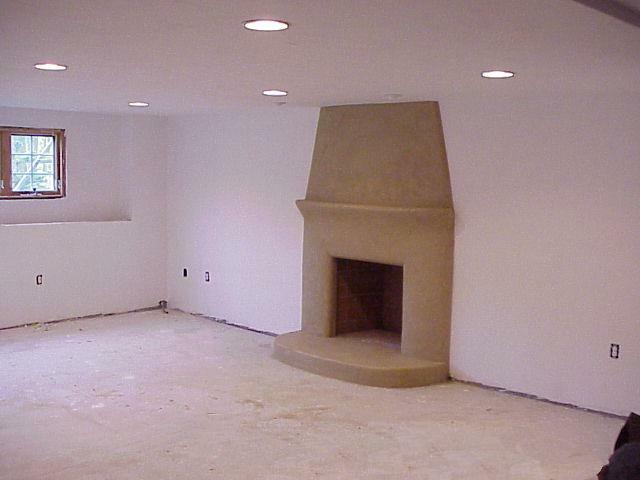 Above – customer wanted a southwestern look to his cellar fireplace. Methodic procedures of protecting floors, setup of a zip wall dust enclose together with negative air ventilation allows dust and debris to be contained. Eliminating the worry of a messy inconvenience or damages. 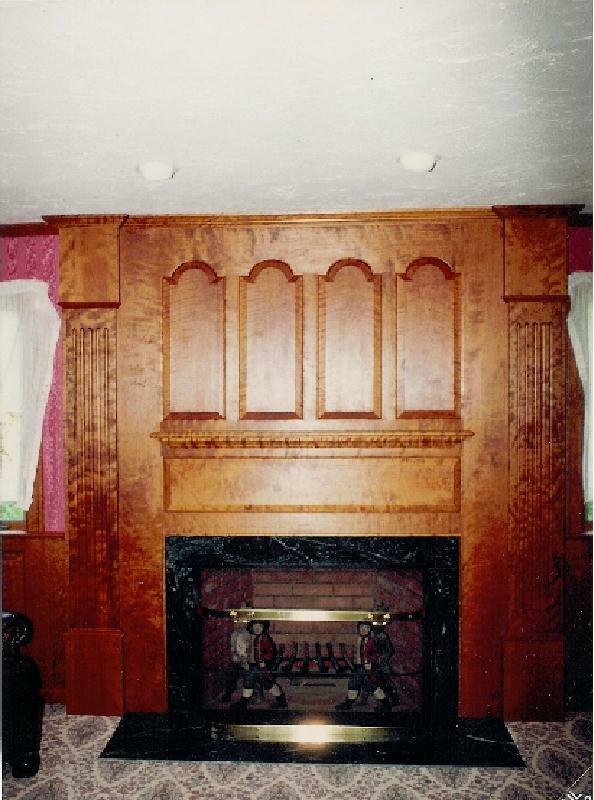 Mantels surrounds installed and custom made. Here are a few before and afters photos below, and theres a few others on the thin stone page link. 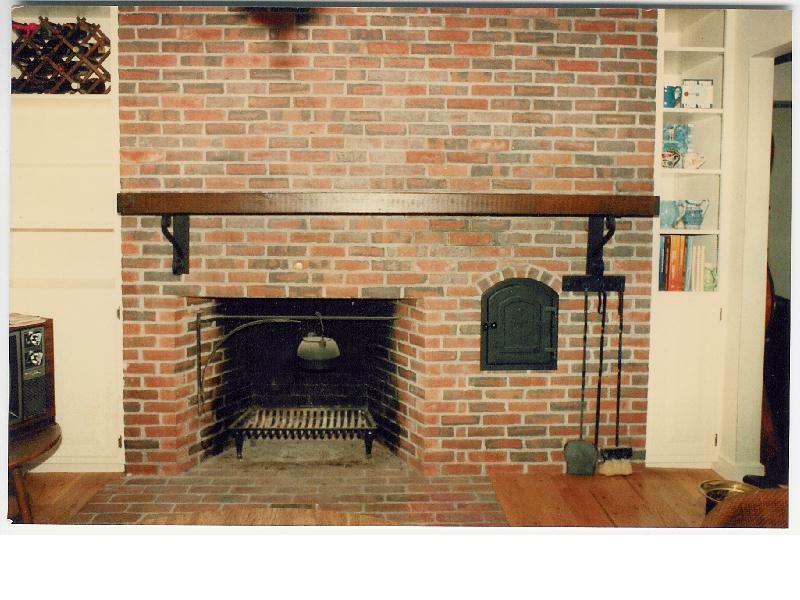 While designing the style of a fireplace most often I recommend not overpowering the room with massive masonry, large masonry area can make a large room feel small & smaller rooms feel tiny. 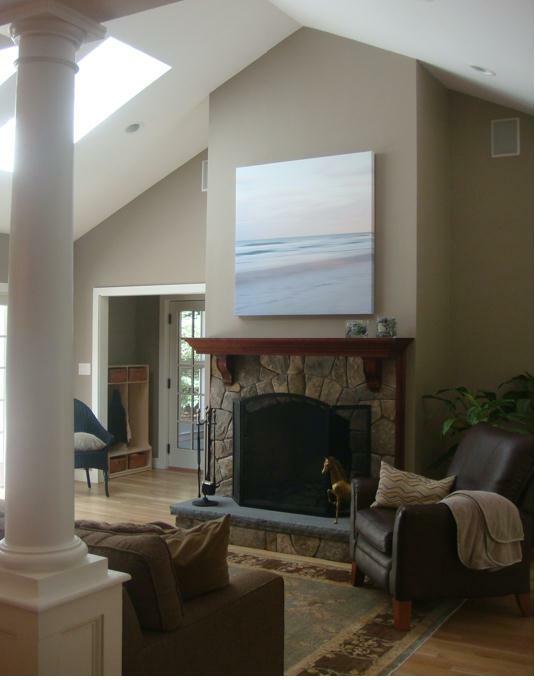 Proportion… Fireplaces in a great room setting, quit often are massive. In others rooms I feell it should compliment not overpower. Formal fireplaces are timeless to trends and fads.